Come and enjoy a morning of healthy exercise and fun while supporting the Victor Central Schools Educational Foundation. The vision of the foundation is to provide an enhanced experience through increased opportunities that promote educational excellence for the Victor Central Schools community. Your support will contribute to: Field Trips Forever Fund, Technology for Today and Tomorrow Fund, The Art of Teaching Fund and the General Fund. Come out and join our community in supporting this initiative to provide wonderful opportunities for our students! 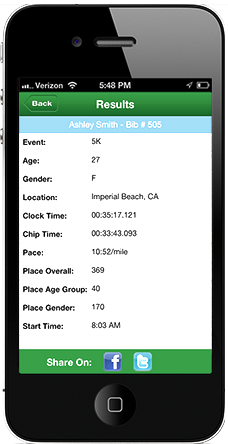 If you are from out of town or can't make the race on race day, consider becoming a virtual runner. Sign up by 9/10/18 and we will mail you an official race shirt and bib. You can run a 5K on your own using the honor system and share your pics and time on our Facebook page to see how you did! Both the 5K Run and Family Fun Walk will start just outside of Corbit Field and circle clockwise around the campus. The 5K Run is chip timed race consisting of two laps around campus. The Family Fun Walk will not be timed and consists of only one loop. Both will finish on the track in front of the grandstands where family and friends can cheer you on to the finish. *The course in on the VCS campus and is accessible for wheelchairs and strollers. *Bikes, skateboards, scooters, and pets are not allowed on the race course. Online registration will remain open right up until the start of each race. All participants registered by Tuesday (9-25-18) at 5pm will have the option of picking up their race packets at the North Face Rochester from 4pm to 7pm on Friday night. Race day registration and packet pickup will take place on the Victor School Campus at Corbit Field near the finish line of the race starting at 7:30am on Saturday morning (race day). Join us after the race for a post race celebration including food, vendors, music, and the awards ceremony! There will be plenty of free parking on the Victor School campus. Signs will be posted and there will be volunteers on hand to guide and assist as needed. 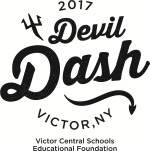 For additional information on the race or sponsorship opportunities available, please email us at victordevildash@gmail.com.